Private Event ~ NB Ladies' Jewelry Night! Private jewelry party for the ladies of New Bedford! Celebrating a birthday party, baby or wedding shower? Or just want a fun place to get together with friends? We would love to host your group! Please tell us a little bit about your event, and we’ll do our best to make it happen! Private Event ~ Girls' Night Out! For this event, you can choose from any of our home decor or jewelry projects. Click HERE to see examples. Please click below to register if you plan to attend so we can prepare for your personalized project. When registering, you will be be asked to provide personalization information if you select a sign or glass etching. Please email us at info@redsealcraftstudio.com if you have a custom project in mind. Join us for a night of jewelry making! You can choose to make a beaded bracelet personalized with a word or name stamped in leather, OR a pair of leather earrings. Welcome Rise Up MPE Volunteers - For this event, you can choose to paint a personalized wood sign, or etch a set of glasses. To see project examples, click here and scroll down until you see Glass Etching & Wood Signs. Click the button below to pick your project and sign up! Send your daughter for 4 days of crafting fun! We’ll do 1 project each day. Projects include: Personalized String Art, Painted Sign with Name & Sport/Hobby, Jewelry, Dreamcatchers and more! Sessions will be M-Th from 1-4PM. Snacks & Bottled Water will be provided. Space is limited, so click below to register today to reserve your spot. Ages 10&up. Welcome PL Ladies! For this event, you can choose from any of our home decor or jewelry projects. Click HERE to see examples. Please click below to register if you plan to attend so we can prepare for your personalized project. When registering, you will be be asked to provide personalization information if you select a sign or glass etching. Please email us at info@redsealcraftstudio.com if you have a custom project in mind. You can choose from any of our projects during this event. Click HERE to see examples. Please click below to register if you plan to attend so we can prepare for your personalized project. Most of our crafts take 1-1.5 hours, so please arrive by 7:30 to allow plenty of time. When registering, you will be be asked to provide personalization information if you select a sign or glass etching. Please email us at info@redsealcraftstudio.com if you have a custom project in mind. Kids can choose to make a dream catcher or boho wall hanging with tassels & pompoms, using a variety of different yarns and ribbon. Click below to register. You can choose to make jewelry, a boho wall hanging or wood burned platter during this open studio. Please fill out the form below to sign up! See the sign options & Please fill out the farm below so we can prep all your signs for your event. Looking forward to having your group! All projects are offered this evening. Click HERE to see samples. When registering it will ask you to give us all the details needed if you want to do a sign or glass etching. Your deposit will be applied to the price of the project the night of the event. Browse the pictures HERE, and get an idea for what you would like to make. Each person can make something different. 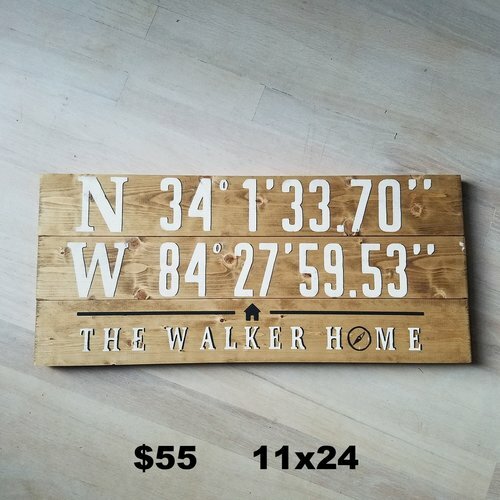 For a sign or etching we need to prep ahead of time so when you register & pay deposit you will need to answer all the questions so we can cut custom stencils for you. You will pick the paint colors the time of the event. Your deposit will be applied to the purchase at the Open Studio. Kids can choose to make a dream catcher, tassels & pompoms with a variety of different yarns we offer. Click HERE to see Jewelry, wood burning, boho wall hanging & glass etching that are available During this Open Craft Studio. Each person can choose a different project to complete. The deposit will be applied to your project price the night of event. If you want to make a sign, use the sign registration below. Click here and scroll down the projects page to see the sign options for this Sign Open Studio. 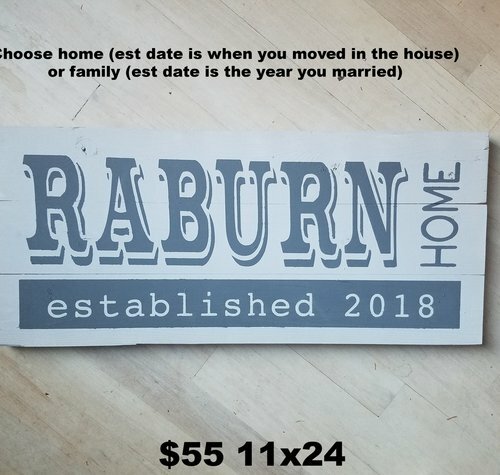 SIGN OPEN STUDIO $55 & $60 | When you register for an sign open studio you will be prompted to 1| Pick a sign style from our family name signs shown below or choose a custom size 2| pick a stain color 3| give us the details needed to format and cut a custom stencil for you. You will pick the paint colors at the open craft studio. Have your kids come and make 2 bracelets or a choker or longer necklace. They can pick from a wide variety of beautiful beads and charms. Click HERE to see Jewelry, wood burning, boho wall hanging & glass etching that are available During this Open Craft Studio. Each person can choose a different project to complete. The deposit will be applied to your project price the night of event. If you want to make a sign use the sign registration button below.